This area of Roadside Peek is dedicated to retail establishments we've all frequented through the years. In this section, we will see both stores that have been around for years (and still are around) and those that have gone away for good. Some are now gone because of a merger. Others simply just couldn't cut it in these times. As you check out these photos, you may remember some of the old familiar scents and displays of these stores, especially during the holidays. 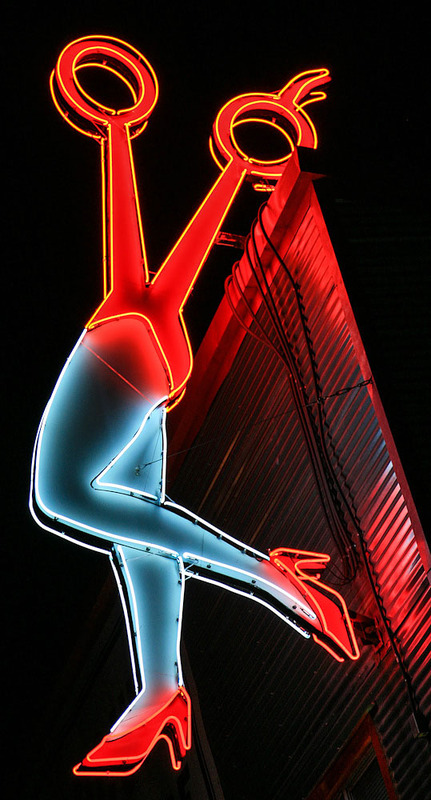 This section is centered around Southern California icons that have disappeared. Some of these names still appear in other portions of the U.S.
Once a retail powerhouse, The Broadway used to proclaim itself "The Broadway Is Southern California." Well, these day, The Broadway is just about no more after falling into bankruptcy and eventual buyout by the Macy's chain a few years ago. 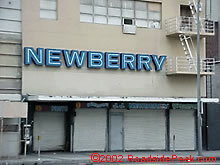 For a look at an original Broadway establishment, check out The Broadway in the Pasadena mall, now an outlet store. Ever need to grab a quick pair of sneakers or GASS earth shoes? Then stop by your nearest Kinney Shoe Store and don't forget your wallet. 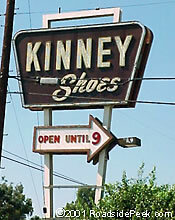 In its heyday, Kinney Shoes was one of the largest and well known shoe chains. Like the Van's single stores, Kinney's were located in just about every shopping plaza worth a stop. Now, the single-standing full-service Kinney stores are merely a memory. 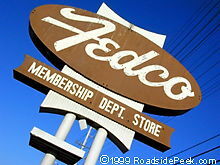 This Crenshaw area store was one of the first Fedco's, if not the first and has been a Los Angeles staple for many years. 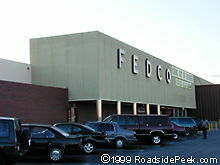 It sported a unique type of Fedco sign that could be seen as travelers passed by on Crenshaw. This site was razed over and is now the home to a Target store.